Anne Wessel has had distinguished careers as a Media Buyer at an advertising agency, Corporate Relations Manager for a national insurance conglomerate, and Executive Director of the Cystic Fibrosis Foundation in Indianapolis prior to taking on the CEO position in the Wessel household, while raising two kids. With the onset of becoming an empty-nester, Anne decided to enter the workforce as a TapSnap franchisee in Indianapolis to renew her passion for event management and marketing. The tenth child in a family of 12 kids, Anne always wanted to own her own business and practiced as a child playing "office”. Following in her father's footsteps as a photographer, she decided to honor her 91 year old father by naming her company Hoyt-Wessel Photography after him and her TapSnap roadie husband, Steve. I chose TapSnap because it's new and innovative. There is nothing like TapSnap in the photo booth industry. I love start-ups because you get to blaze your own trail. It's also F-U-N! If it isn't fun, I don't want to do it! At my age, I was not sure I would like going back to the traditional 8-to-5 work schedule, even if I was doing something that I really enjoyed. Frankly, I wasn't sure I would find that perfect job. Being my own boss and owning a franchise seemed to be the best fit. I like the idea of not being alone in pursuing success because franchising allows you to have an organization behind you, as well as successes of other franchisees from which to learn. I wasn't looking to reinvent the wheel; I just wanted to roll with it! I also wanted to retain flexibility in my work schedule. That was important to me and I was not sure I would be able to retain it if I went to work for someone else. During the ten years that I worked before having kids I was in advertising, corporate event marketing, and fundraising. After having kids I chose to stay home and continued to pursue event fundraising as a volunteer. Four years ago I started working part-time for an auction technology company that services fundraising events. That experience gave me the confidence to pursue buying a TapSnap franchise. I still work events for that company which allows me to share my TapSnap business with other event professionals. Having been a stay-at-home mom for 20 years afforded me a flexible schedule. The challenge I faced while starting my TapSnap business was disciplining myself to have a structured home-based business work schedule. With TapSnap I was able to ease into a work mode that drove me to be organized. TapSnap's franchise support provided the marketing tools and check lists that kept me on task while setting up my business. I've had many positive experienes as a TapSnap franchisee. One of the most touching was a free event I did for a group of refugee children during a Christmas party. The kids were not used to getting their picture taken and it took a while to get them to open up. But when I put a digital Santa hat on them in their photo or changed the green screen background their faces lit up and they began to laugh and have a good time. I was able to bring a smile to their face and give them photos that they would have forever. It was a truly moving Christmas gift to those kids. 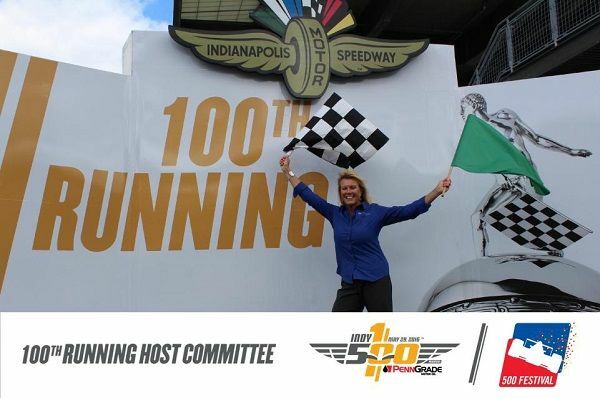 More recently, I had the profound opportunity to take photos on the Victory Podium at the Indianapolis Motor Speedway for the 100th Running Host Committee Celebration. The Indy 500 is the largest single-day event in the world and being a part of the post-race celebration at the famed Speedway was a once-in-a-lifetime experience. Another memorable experience for TapSnap 1184 was at the Indianapolis Zoobilation event, the largest of its kind in Indiana. It afforded my business some great visibility in the community as well. From a business perspective, I really enjoy providing the social media and marketing/branding capabilities that TapSnap provides for clients and sponsors. TapSnap is much more than just a photo booth and it's easy for me to be excited about a product that offers so much. I also like weddings because the guests all know each other and aren't shy about hamming it up for picture taking! As a TapSnap owner, I became an active, working citizen in my community. Being productive and giving back to the community was important to me and I am readily doing that now. I wanted to be one of those people who enjoys what they do for a living. People recognize that in me. I also have had a sense of accomplishment and success in the short time since I started my business. At one of my first events I accidentally misspelled the client’s name and I had to refund a portion of their fees. Now I double and sometimes triple check names that are not familiar to me. I also learned that being transparent with the client gains their trust and confidence in my ability to provide a superior product with superior service. If I don't have an immediate answer to their question I can get assistance from Franchise Support or other franchisees. TapSnap is special because it's new, innovative and sleek. Whether it's a private, corporate, or community event, you can tailor their event to fit their goal, budget, and expectations. And it's Fun! TapSnap also provides so many features that other photo booths do not. TapSnap is in a category of its own! Who doesn't want the latest and greatest!? I don't have any secrets but I'm always willing to share what works, and so are TapSnap franchisees. Because TapSnap is an innovative product with a unique photo activation platform, I believe the marketing approach to gaining new clients needs to be innovative and creative as well. Also, to gain new clients a new franchisee needs to be well-versed in the product, believe in it and gain visibility by servicing events often. If you’re looking into buying a franchise, consider TapSnap. We still have many franchise opportunities available. Get started by requesting our Franchise Information Report which will give you further insight and details on becoming a franchise partner with TapSnap, or simply give us a call at 877-577-0566!